The fisherman Urashima Tarō married Otohime, daughter of the Dragon King of the Sea. 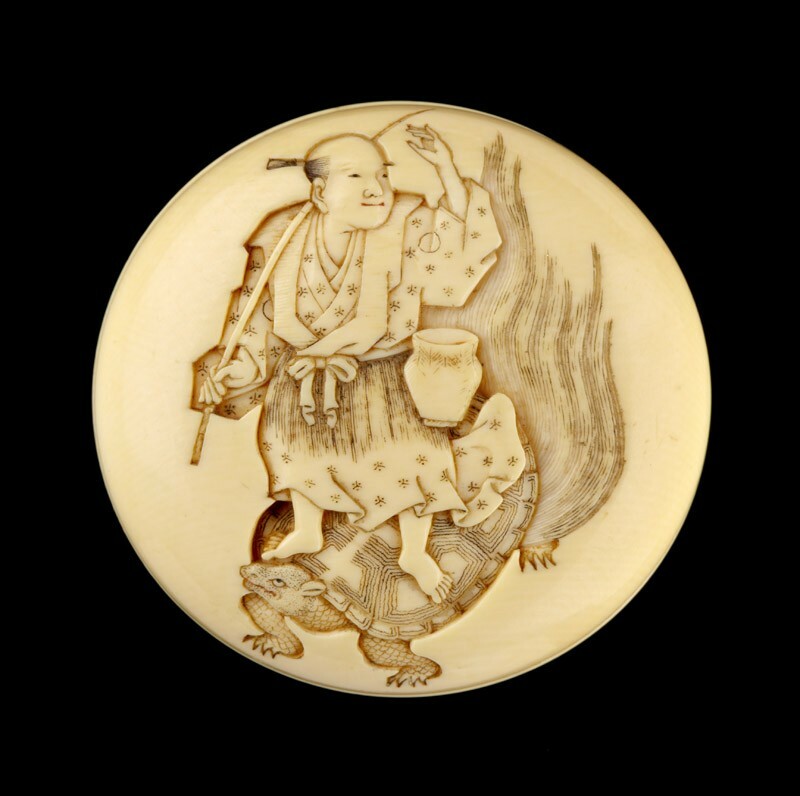 Here, Otohime is disguised as a turtle and Urashima Tarō is depicted riding home on her back to visit his parents. 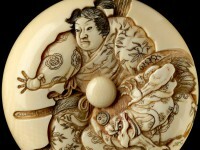 On the reverse is the treasure box she has given Urashima Tarō, which he must not open until he returns to her.